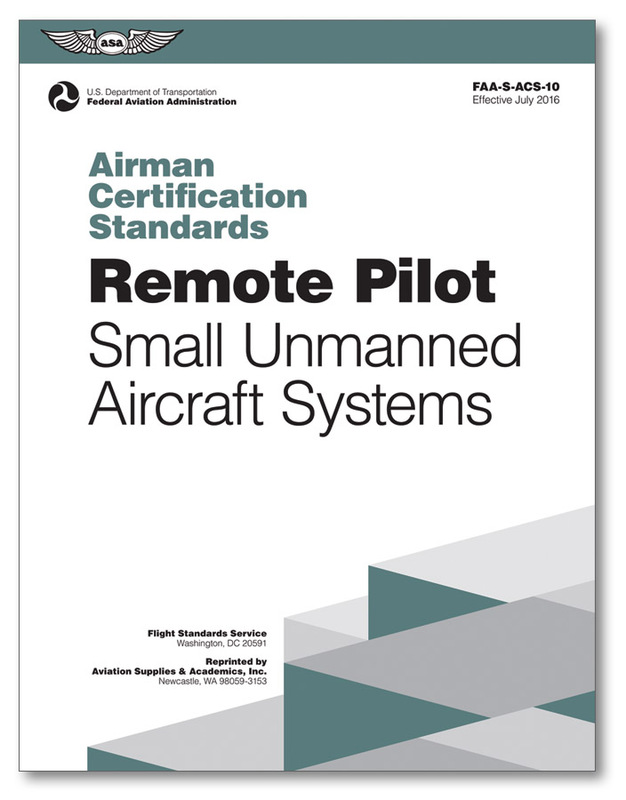 The Federal Aviation Administration (FAA) has published the Unmanned Aircraft Systems (UAS) Airman Certification Standard (ACS) document to communicate the aeronautical knowledge standards for a Remote Pilot Certificate with a Small UAS Rating. The goal of the airman certification process is to ensure the applicant possesses knowledge consistent with the privileges of the Remote Pilot Certificate with a Small Unmanned Aircraft Systems (UAS) Rating being exercised, as well as the ability to manage the risks of flight in order to act as a remote pilot in command (PIC). The ACS integrates the elements of knowledge and risk management in 14 CFR part 107 for a Remote Pilot Certificate with a Small UAS Rating. It forms the comprehensive standard for what an applicant must know and consider for the safe conduct and successful completion of each Task to be tested on the knowledge test. Softcover, 8-1/2" x 11", 33 pages.